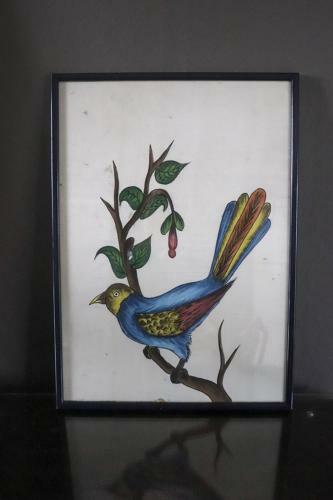 Beautifully vibrant of a painting of a bird on a branch. Painted on silk and framed. Mid century?